Kahtoola’s MICROspikes are a pocket-sized traction system that allow anyone, of any age, to get out and safely enjoy winter. 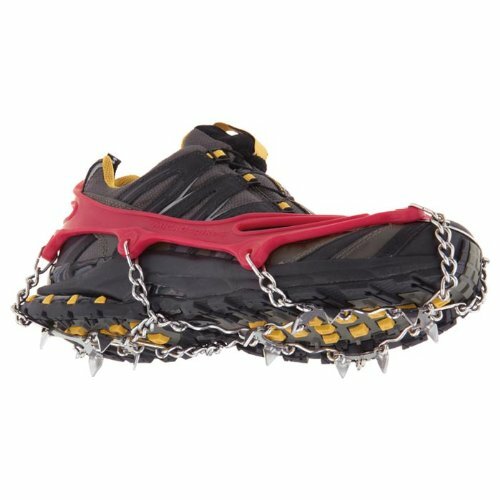 These slip-on spikes dig into all types of terrain — ice, packed snow, wet rocks, concrete, and scree. Extremely durable, they attach securely to your footwear and require no special buckles or straps.